Adam & Eve/DDB was named Outdoor Agency of the Year and Press Agency of the Year at the Campaign Big Awards last night. 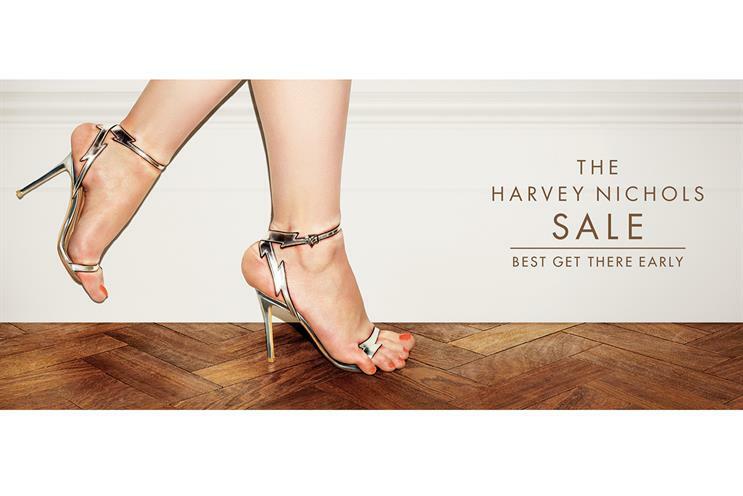 At a ceremony at London’s Grosvenor House, the Omnicom agency was awarded a gold in the Retail category and three silvers in Fashion, Clothing, Footwear & Accessories for Harvey Nichols "bad fit". Adam & Eve/DDB’s "Monty’s Christmas" for John Lewis picked up a gold in Retail. The agency was also a finalist in the Automotive and Retail categories for its work on Volkswagen and Harvey Nichols respectively. Mother London won Film Agency of the Year after landing three golds and three silvers for campaigns including "beds" and "the wonderful everyday" for Ikea, "epic strut" for Moneysupermarket.com and "fly like Rufus" for Anheuser-Busch InBev. Wieden & Kennedy was Digital Agency of the Year. It picked up a gold for Honda "the other side" and a silver for Three "#holidayspam". Integrated Agency of the Year went to Iris after it was awarded a gold in Sport, Travel & Leisure and a silver in Fashion for Adidas "#ThereWillBeHaters". Engine won the Paul Arden Award for NHS Blood and Transplant "missing type". The campaign also earned a gold in Public Service. Leo Burnett London landed two golds – one for Always "#LikeAGirl" in Household Goods and one for McDonald’s "emojis" in Grocery & Soft Drinks.